Manomet’s Director of Sustainable Economies Program Andy Whitman spoke at Cooper’s Maple Products in Windham, Maine about the effects of climate change on maple syrup producers. 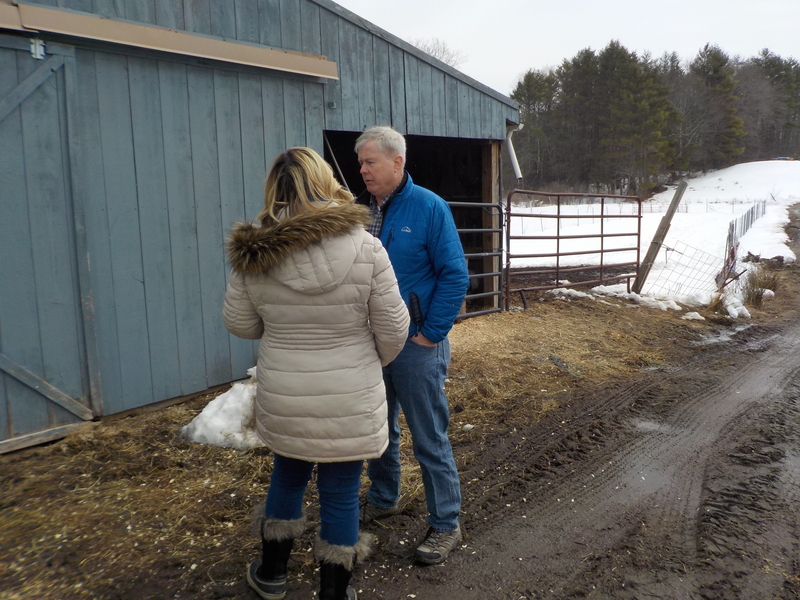 Windham, Maine – Today, at a news conference at Cooper’s Maple Products, maple producers, a forest expert, a representative from Senator King’s office, and a conservationist described the effects climate change may have on maple syrup production in Maine. In advance of the 35th annual Maine Maple Sunday (coming up March 25), the speakers called on Maine’s Congressional delegation to fight against budget cuts and rollbacks in Washington, DC, that would threaten our iconic industries, economy, and way of life. Maine’s maple syrup industry contributes nearly $30 million directly to our economy each year, and ranks third in the nation for maple production. Last year Maine produced more than 700,000 gallons of maple syrup, but recent studies show the future of Maine’s syrup industry is threatened by increased climate change. EPA studies cited the potential loss of economically important tree species such as the sugar maple as it moves north into Canada, where its preferred climate would be more common. Climate change has led to warmer, drier growing seasons, stunting the growth of sugar maples. Slower growing trees means when the old ones die, we won’t have as many new ones to take their place, resulting in decreased sap production. A University of Maine study found the composition of our forests is also changing, with warming temperatures shifting our forests to have more beech trees and less maple trees. On top of these effects on our forests, some farmers have noticed that variability in our climate affects the quantity and quality of their syrup. Unpredictable weather is shifting the tapping season, while warming weather is changing the composition of the syrup, and leading to more uncertainty for maple producers. Despite the threat climate change poses for our economy, at the federal level we’re seeing drastic rollbacks of climate protections from the Trump Administration. The President’s FY-2019 budget proposes to eliminate almost all of the Environmental Protection Agency’s climate initiatives, including the Clean Power Plan, international climate programs, and climate research, reducing our ability to understand, prepare for, and minimize these impacts that affect our property, businesses, and economy.